The present book contains 17 chapters written by a select group of medical researchers and scientists. I’m honored to participate in this tribute to Uffe Ravsnkov. My chapter is entitled “Stress as Cause of Atherosclerosis – The Acidity Theory”. During the last year I have presented an article about the acidity theory of atherosclerosis, developed in 2006, addressing its history, pathophysiology, therapeutics, risk factors and external markers. 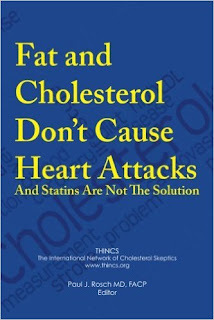 There I also have wrote about individuals with lower degree or absence of atherosclerosis, and on the reversion or lower progression of atherosclerosis through the use of sympatholytic drugs and by stress reduction approaches (http://goo.gl/AejGAV). The link between stress and atherosclerosis is well-known with many studies and postulations in this regard. However, there is a general unawareness that stress can induce hyperlactatemia and lactic acidosis, because this relationship has been little discussed in medical science. The influence of adrenaline on lactic acid production was first noticed by Carl Ferdinand Cory in 1925. The heart is an organ of high metabolic activity – that cannot rest as other body muscles, being susceptible to drops in pH during ischemia and hypoxia. The chronic elevated catecholamine release, triggered by sympathetic dominance, may accelerate the myocardial glycolysis leading to significant increase in lactate production. Risk factors for atherosclerosis like hypertension, diabetes, cigarette smoking, stress conditions and high carbohydrate diets are linked to autonomic dysfunction. These risk factors present as well an increased concentration of lactate in plasma. Blood lactate is also associated with carotid atherosclerosis. Plasma lipid abnormalities and myocardial lactate production were significantly associated with subsequent arteriographic progression. The amount of lactate released by the myocardium has been shown to be related to the severity of coronary artery disease. Reduced pH increases the oxidation of low-density lipoprotein that is considered to have a significant role in atherogenesis. 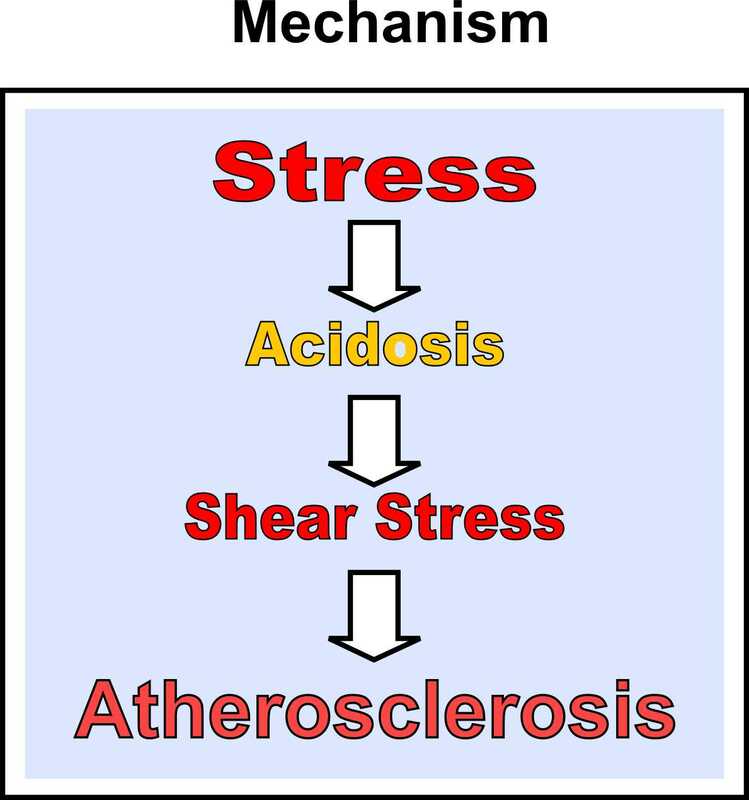 According to the acidity theory of atherosclerosis the acidosis evoked by sympathetic dominance or continuous stress leads to changes in shear stress, the final stage in the development of atherosclerotic lesions. The importance of mechanical forces such as those derived from changes in hemodynamic shear stress, as a decisive factor for atherosclerosis, was advocated by Meyer Texon since1957.